Don't trust your memory, it will trip you up, what is clear now will grow obscure; what is found will be lost. Write down everything in full; time so spent now will be time saved in the end, when you offer you researches to the discriminating public. Don't be satisfied with a dry-as-dust item: clothe a skeleton of fact and breathe life into it with thoughts that glow; let the paper smell of the woods. There's a pulse in each new fact; catch the rhythm before it dies. Cited in Field Notes on Science & Nature. 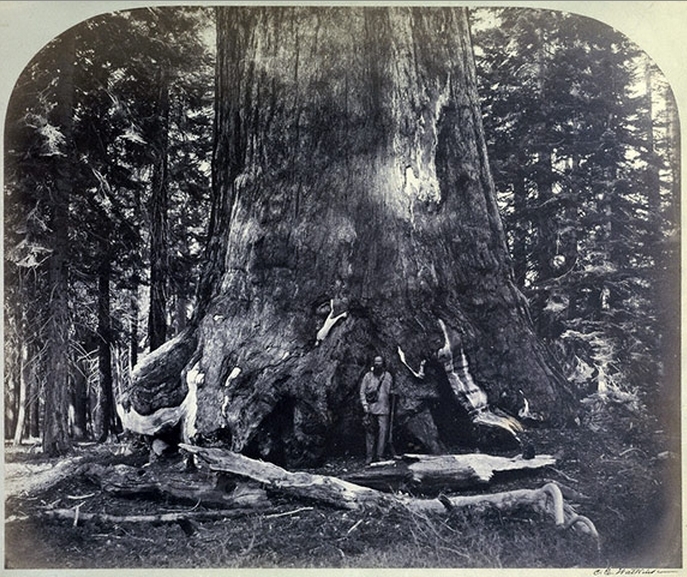 Canfield et al., 2011. For those still struggling to find new presents for their mathematically gifted relatives and friends here is a physical model of a 3 dimensional Hilbert curve created by Henry Segerman and available from Shapeways. 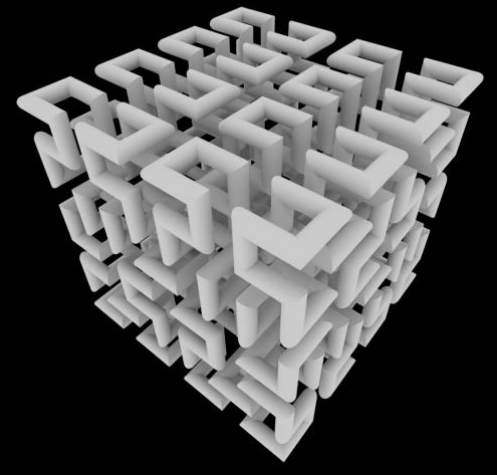 The Hilbert curve is a space filling fractal mathematical object described by German mathematician David Hilbert in 1891 and related to the Peano curve (more on it here). 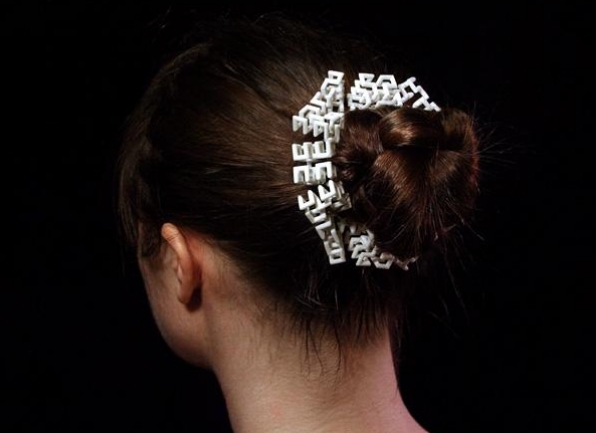 Since the curve is a single loop it can be opened up and used as a hair accessory. 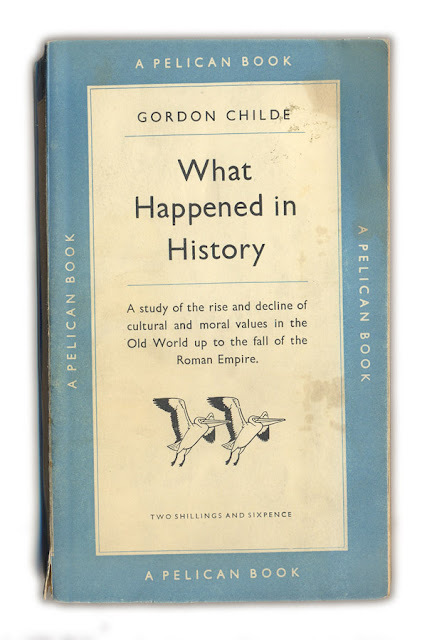 One of his classics books, What Happened in History, was published in 1942. 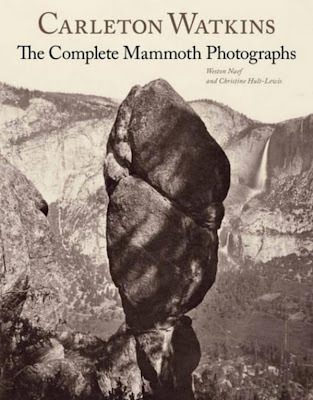 This was a ground breaking book - it focused more on the development of early societies as seen in the day to day activities going on than the lives of the great leaders normally studied in history. I remember buying a copy of the Pelican edition of Childe's book in 1981 in the brilliant second hand book stall in Bath Guildhall market. I quite often used to walk round there, buy a Chelsea bun and a pint of fresh milk, and while away an hour or so. 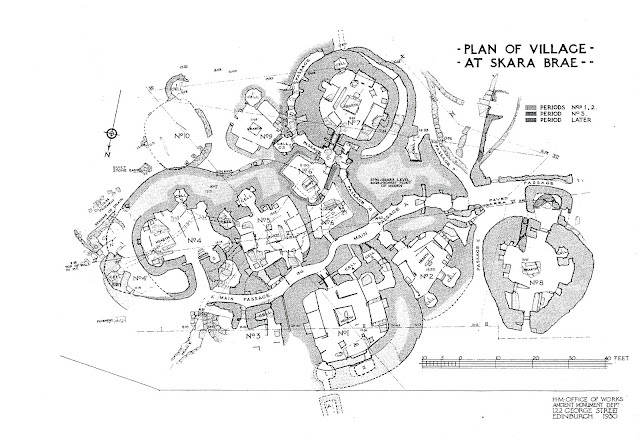 Skara Brae is on Orkney. It is a neolithic village that is older than the Great Pyramids and Stonehenge. 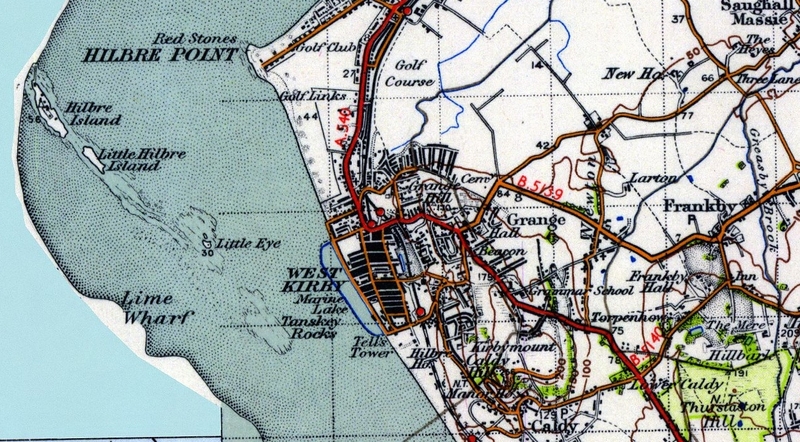 The map below was created by V. Gordon Childe and is dated 1930. 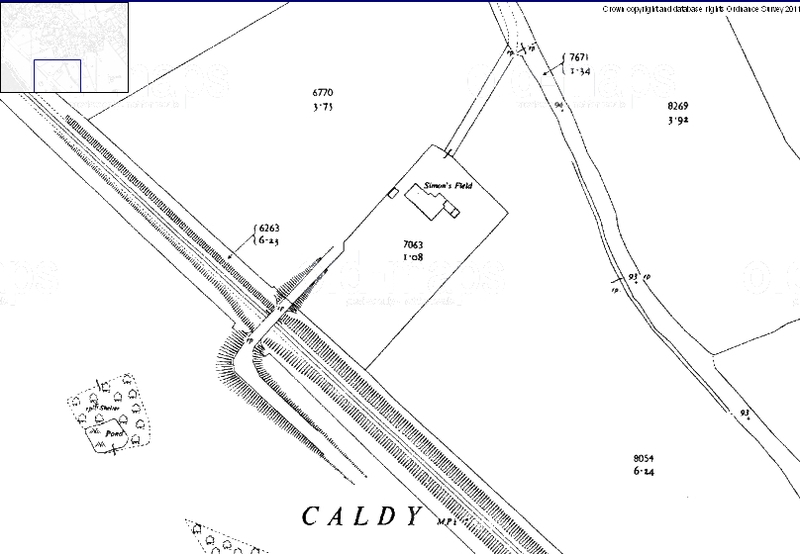 At the time Childe was Abercromby Professor of Archaeology at Edinburgh University. Olaf Stapledon was a West Kirby based philosopher and science fiction writer. Here is a biographical sketch. William Olaf Stapledon is best remembered for the extraordinary works of speculative fiction he published between 1930 and 1950. As a novelist, he was known as the spokesman for the Age of Einstein and has influenced writers as diverse as Virginia Woolf, Arthur C. Clarke, and Doris Lessing. This biography is the first to draw on a vast body of unpublished and private documents - interviews, correspondence, archival material, and papers in private hands - to reveal fully the internal struggles that shaped Stapledon's life and reclaim for public attention a distinctive voice of the modern era. Late in his life in an unpublished "letter to the future" Stapledon unwittingly provided the rationale for his biography: "It is just possible that my very obscurity may fit me to speak more faithfully for my period than any of its great unique personalities". A pacifist in World War I, an advocate of European unity and world government, one of the first teachers in the Workers' Educational Association, and an early protestor against apartheid, Stapledon turned utopian beliefs into practical politics. With roots in the shipping worlds of Devon, Liverpool, and the Suez Canal, he was transformed from a self-described provincial on the margins of English literary and political life into a visionary idealist who attracted the attention of scientists, journalists, and novelists, and, given his left-wing political affiliations, even the F.B.I. Stapledon's novels - Last and First Men, Star Maker, Odd John, and Sirius - have gathered a passionate following, and they have seldom been out of print in the last twenty-five years. But the personal experiences and political commitments that shaped this creativework have, until now, barely been known. 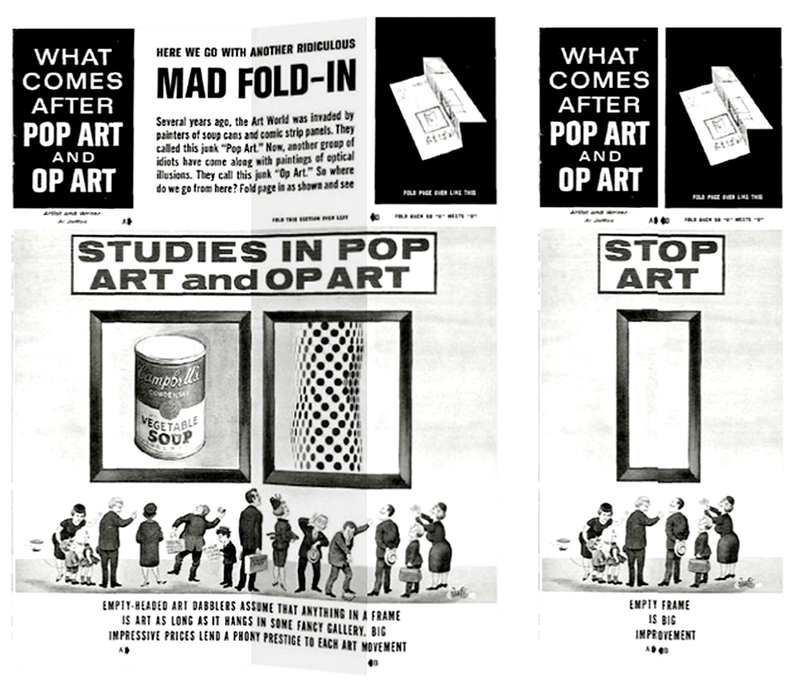 Robert Crossley's work reveals how, in public and in private, in his social activism as in his fiction, Olaf Stapledon embodied many of the modern era's anxieties and hopes. 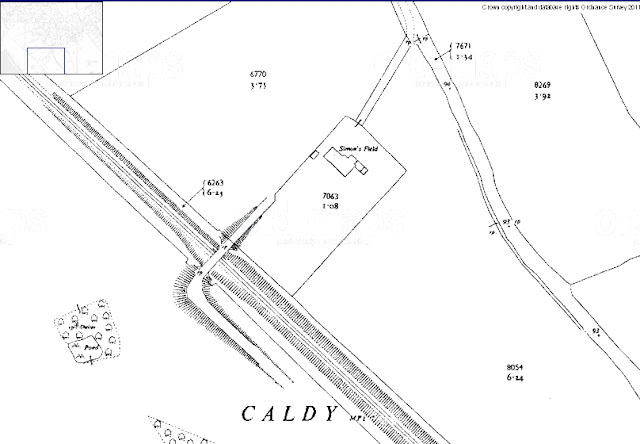 Stapledon also bequeathed a tract of woods in Caldy to the local people - now known as Stapledon woods. I sat down on the heather. Overhead obscurity was now in full retreat. In its rear the freed population of the sky sprang out of hiding, star by star. On every side the shadowy hills or the guessed, featureless sea extended beyond sight. But the hawk-flight of imagination followed them as they curved downward below the horizon. I perceived that I was on a little round grain of rock and metal, filmed with water and with air, whirling in sunlight and darkness. Stapledon built a house for himself called Simons Field on what was an unadopted lane, Mill Hey Lane, and is now on Bartons Hey Drive. This house had views directly out onto the Dee estuary and a tennis court at the botom of the garden. Here is the house marked on a 1956 OS map. 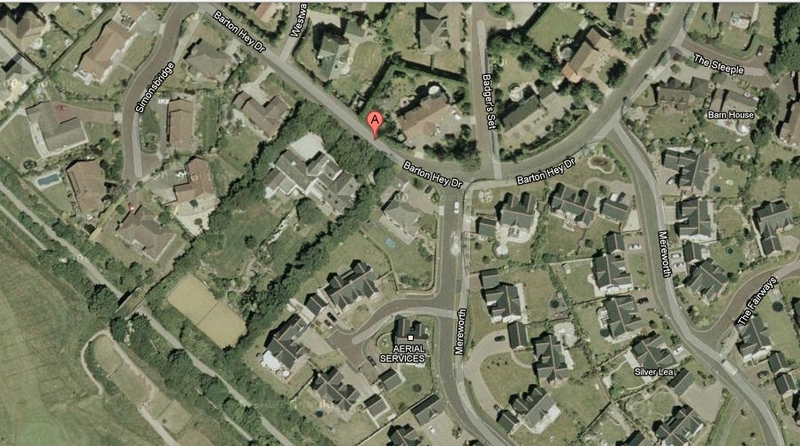 And here it is today on a satellite image from Google Maps. It looks like the tennis court is still there. Simons Field is now on Bartons Hey Drive, Caldy, CH48 1PZ. Thomas Keneally, author of amongst other things Schinlders List, wrote a book in 1991 on his long lost Irish origins. This book, Now and in Time to Be, describes his journeying around Ireland - and introduced me to the other worldly landscape known as the Burren. The Burren is a karst landscape - and according to Wikipedia the region measures approximately 250 square kilometres and is enclosed roughly within the circle made by the villages Ballyvaughan, Kinvara, Tubber, Corofin, Kilfenora and Lisdoonvarna. It is bounded by the Atlantic and Galway Bay on the west and north, respectively. In Keneally's book there is a quotation from Edmund Ludlow (1617-1692), one of Oliver Cromwell's followers, that describes the distinctive landscape of the Burren. 'After two days' march we entered into the Barony of Burren, of which it is said, that it is a country where there is not water enough to drown a man, wood enough to hang one, nor earth enough to bury him; which last is so scarce, that the inhabitants steal it from one another, and yet their cattle are very fat; for the grass growing in tufts of earth, of two or three foot square, that lie between the rocks, which are of limestone, is very sweet and nourishing'. Could the real Myles na gCopaleen stand up, please. 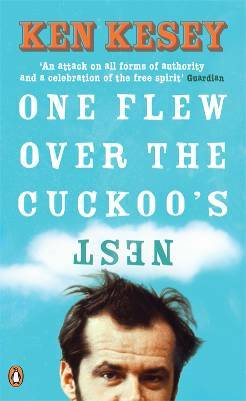 The Irish writer Brian O'Nolan had a multitude of pseudonyms. 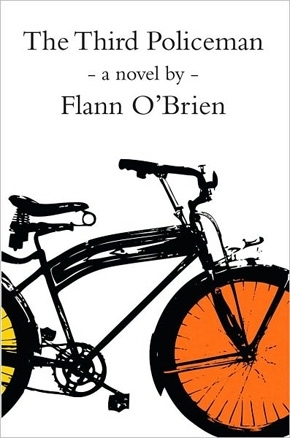 One of the better known being Flann O'Brien. One of his other famous pseudonyms was Myles na gCopaleen - under which he published a regular column called Cruiskeen Lawn for the Irish Times. A LADY lecturing recently on the Irish language drew attention to the fact (I mentioned it myself as long ago as 1925) that, while the average English speaker gets along with a mere 400 words, the Irish-speaking peasant uses 4,000. Considering what most English speakers can achieve with their tiny fund of noises, it is a nice speculation to what extremity one would be reduced if one were locked up for a day with an Irish-speaking bore and bereft of all means of committing murder or suicide. My point, however, is this. The 400/4,000 ration is fallacious; 400/400,000 would be more like it. There is scarcely a single word in the Irish (barring, possibly, Sasanach) that is simple and explicit. Apart from words with endless shades of cognate meaning, there are many with so complete a spectrum of graduated ambiguity that each of them can be made to express two directly contrary meanings, as well as a plethora of intermediate concepts that have no bearing on either. And all this strictly within the linguistic field. Superimpose on all that the miasma of ironic usage, poetic licence, oxymoron, plamás, Celtic invasion, Irish bullery and Paddy Whackery, and it is a safe bet that you will find yourself very far from home. 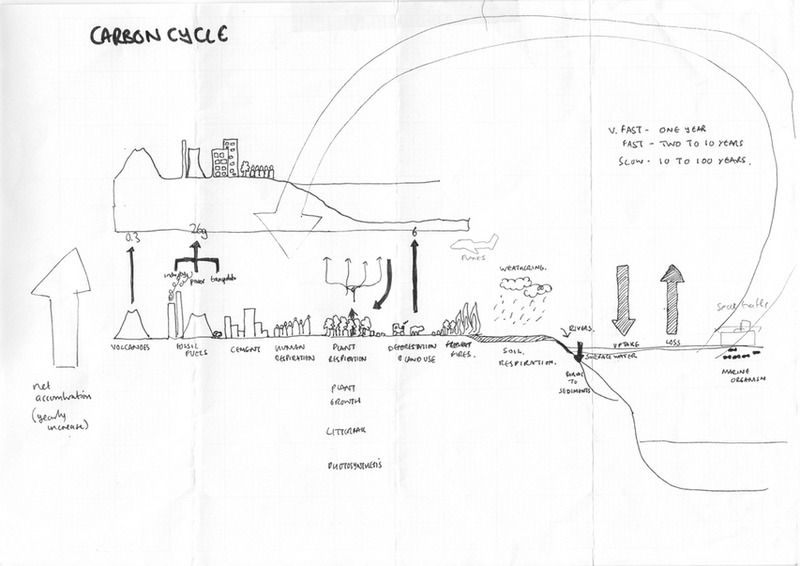 Here is an example copied from Dinneen and from more authentic sources known only to my little self. But what is the use? One could go on and on without reaching anywhere in particular. Your paltry English speaker apprehends sea-going craft through the infantile cognition which merely distinguishes the small from the big. If it’s small, it’s a boat, and if it’s big it’s a ship. In his great book An tOileánach, however, the uneducated Tomás Ó Criomhthain uses, perhaps, a dozen words to convey the concept of carrying super-marinity – árthrach long, soitheach, bád, naomhóg, bád raice, galbhád, púcán and whatever you are having yourself. The plight of the English speaker with his wretched box of 400 vocal beads may be imagined when I say that a really good Irish speaker would blurt out the whole 400 in one cosmic grunt. In Donegal there are native speakers who know so many million words that it is a matter of pride with them never to use the same word twice in a life-time. Their life (not to say their language) becomes very complex at the century mark; but there you are. HERE is the BBC Horizon programme No Ordinary Genius on Richard Feynman. 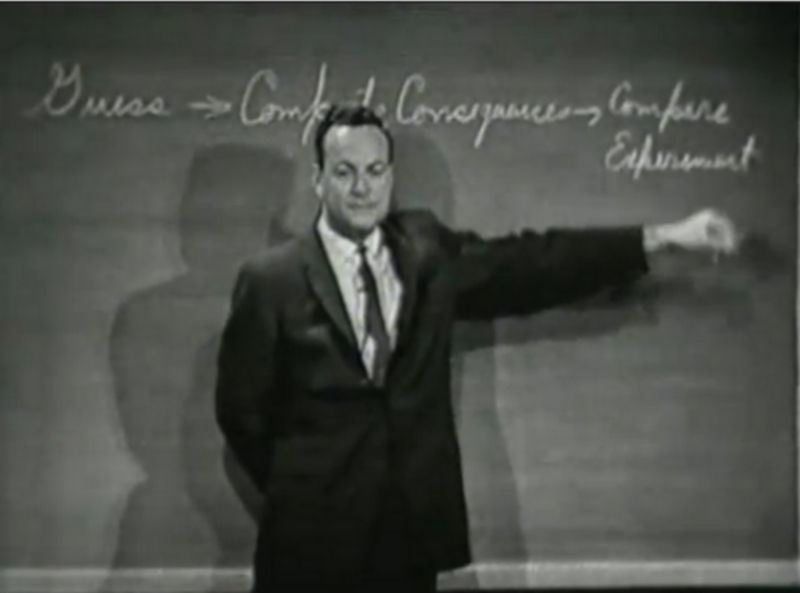 From the video at 5:13 here is Feynman on guesses and observations in science. Now I am going to discuss how we would look for a new law. In general we look for a new law by the following process. Don't laugh that's extremely true. Then we compute the consequences of the guess. To see what, if this law is right, to see what it would imply. And then we compare the computation results to nature or we say compare to experiment or experience. Compare it directly with observation to see if it works. If it disagrees with experiment, it's wrong. In that simple statement is the key to science. 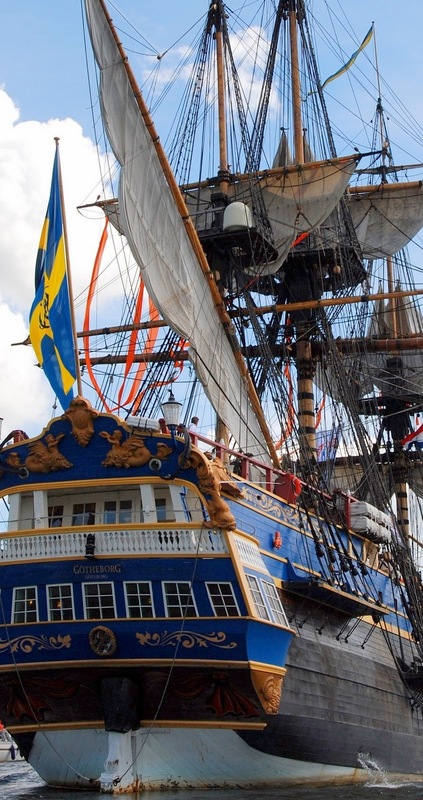 A lesson in how to create a complete product innovation in a market that has existed for hundreds of years. 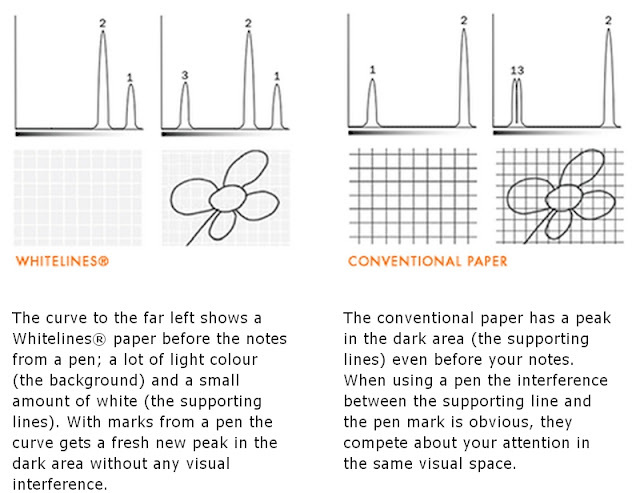 The Swedish company Whitelines have turned ordinary lined note paper inside out. 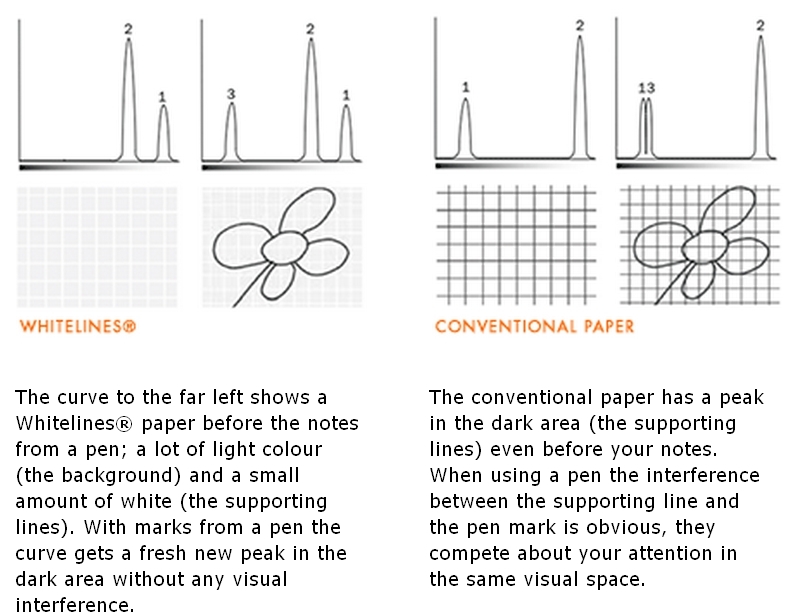 They have created a range of lined papers that use white lines on a pale grey paper. The result is that deliberately made marks stand out clearly whilst the supporting grid is just that, supporting. I have no idea whether they are influenced by the work of Edward Tufte but this is a classic Tufte trick - remove all unnecesary ink and leave just enough for the task at hand. Below is one of their "spectra" that describes what they have done. is a book filled with rare 17th Century abstract Indian paintings. HERE. Here is a brilliant piece by Kathryn Hughes in the Guardian on the recent revival of beautifully designed, typeset and manufactured books. HERE is a superb Google Maps type API for old OS maps developed and provided by the folks at the National Library of Scotland. Yesterday (27th November) the hide tide and high winds combined to make the sea at Caldy wild and rough. The above is the fantastic final paragraph of The Origin of Species by Charles Darwin (1859). It is also the text for the childrens book HERE illustrated by Argentinian Fabian Negrin and winner of the 2010 Ragazzi award for non-fiction graphic design. One of the key elements of my week when I was younger was buying the NME. Along with the regular columns they began releasing a set of collectible compilation cassettes from about 1981. 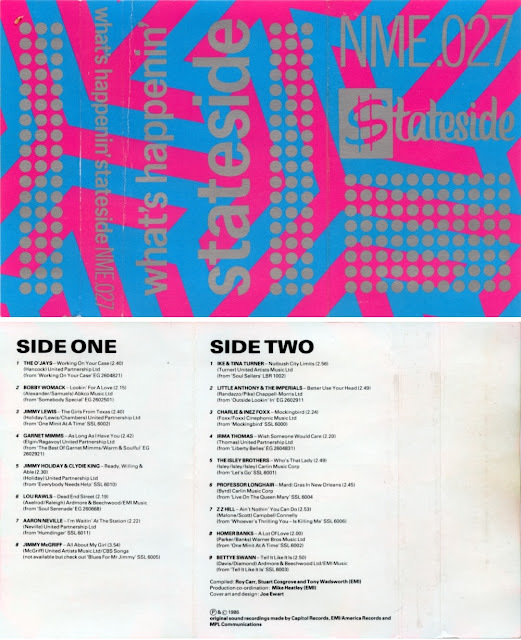 My personal favourite was NME 027 - Whats happenin' stateside. Released in Autumn of 1986 this was a compilation of tracks from the Stateside label. I literally wore out the copy I had. 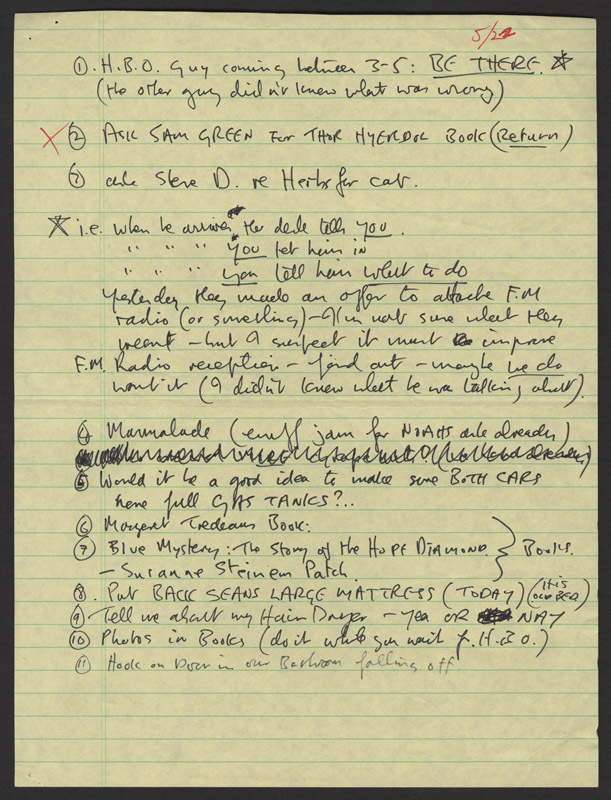 The list of rather everyday chores includes books that Lennon wanted returned to him as well as books he wanted. Fixing the hook on the bathroom door, moving Sean Lennon's large mattress and waiting for the cable guy to show up. The fourth item Marmalade, shows that Lennon was a typical Englishman in New York. It appears that no matter how sophisticated and famous people are, their lives are composed of numerous everyday and prosaic actions. 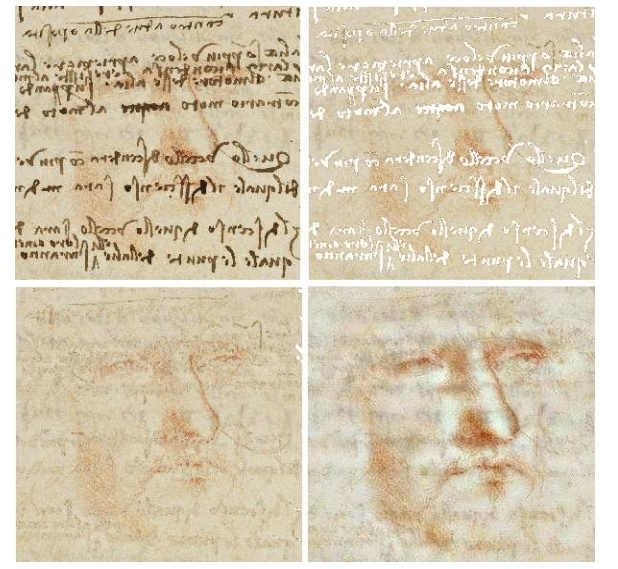 HERE is a short and interesting paper describing how free software was used to extract a self-portrait of Leonardo da Vinci from one of his notebooks. A self-portrait of young Leonardo. "One of the most famous drawings by Leonardo da Vinci is a self-portrait in red chalk, where he looks quite old. 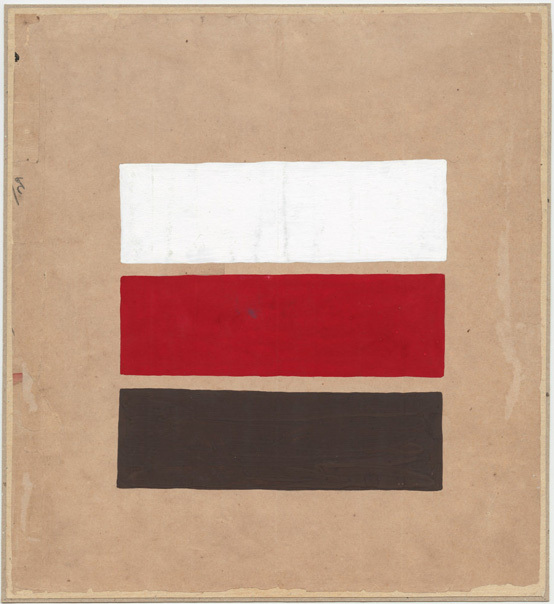 In fact, there is a sketch in one of his notebooks, partially covered by written notes, that can be a self-portrait of the artist when he was young. The use of image processing, to remove the handwritten text and improve the image, allows a comparison of the two portraits." Although I was born in Liverpool in 1961, and I lived there until I was about seven, I have never been a big Beatles fan. However, one of my all time favourite songs is I'm so tired by the Beatles which appears on The White Album. The song is credited to Lennon/McCartney but was sung by John Lennon. Lennon wrote the song at a Transcendental Meditation camp when he could not sleep. The Beatles had gone on a retreat to study with the Maharishi Mahesh Yogi in Rishikesh, India. After three weeks of constant meditation and lectures, Lennon missed his soon-to-be wife, Yoko Ono, and was plagued by insomnia that inspired the song. Lennon later said of it: "One of my favourite tracks. I just like the sound of it, and I sing it well". This couplet includes the immortal Liverpudlian rhyming of Cigarette with stupid get. When sung by Lennon he lets rip with his full and pronounced scouse accent. 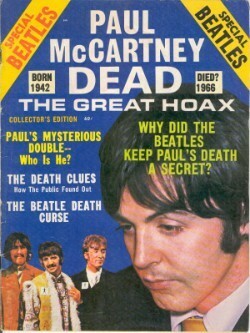 This song is also one of the sources of the Paul is Dead conspiracy. At the end of the song there is some mumbling in the background that when played backward sounds like "Paul is a dead man. Miss him. Miss him. Miss him." You can hear the fragment both forwards and backwards HERE. There is a great article by Michael Shermer in Scientific American that uses the idea of Paul being dead as an exemplar of anecdotal thinking coming naturally and science requiring training HERE. The surface of the Moon as you have never seen it before. HERE is a set of beautiful topographic images of the surface of the moon. They are of unprecedented height resolution and lovely to look at. 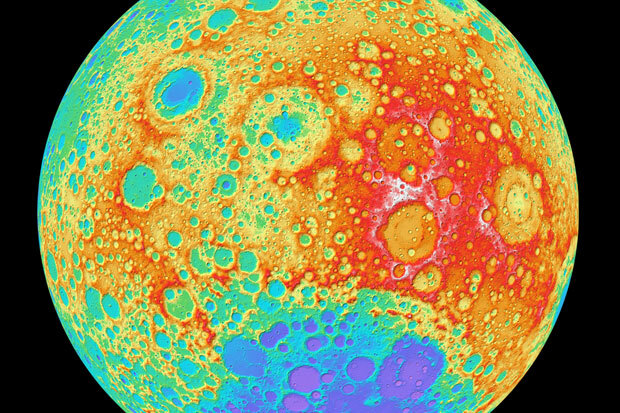 The mapping is colour coded to reveal the surface shape of the Moon. 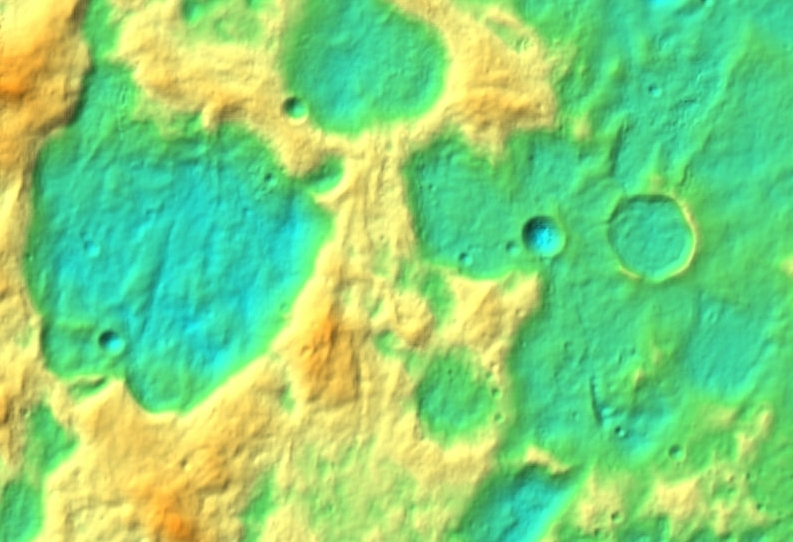 The different colours are used to represent the elevations of the craters, mountains and ridges of the moons surface (White highest, down red, orange, green, blue and violet lowest). Each pixel is about 100 metres across. 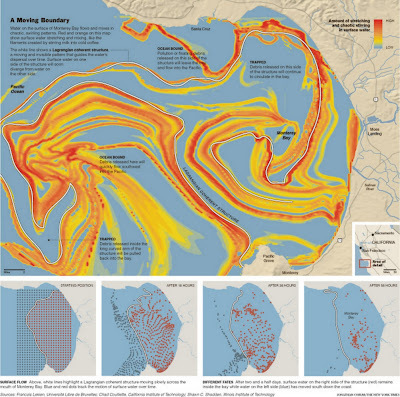 Over at his blog Information is Beautiful David McCandless has hooked up with the Guardian to give away a $5000 prize for the best infographic designs. They point out that designing an infographic is as much about ideas as it is about using fancy software. 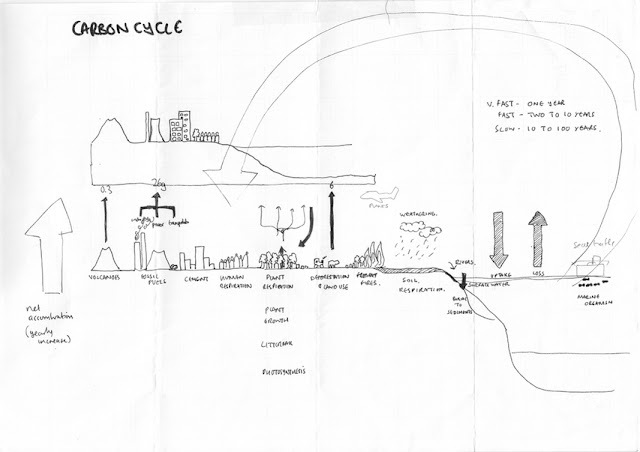 To illustrate this they include some of McCandless' own "back of an envelope" design ideas that ended up in his book HERE. When I was growing up there was no Wikipedia. In order to learn about anything you needed to get your encyclopedia out. 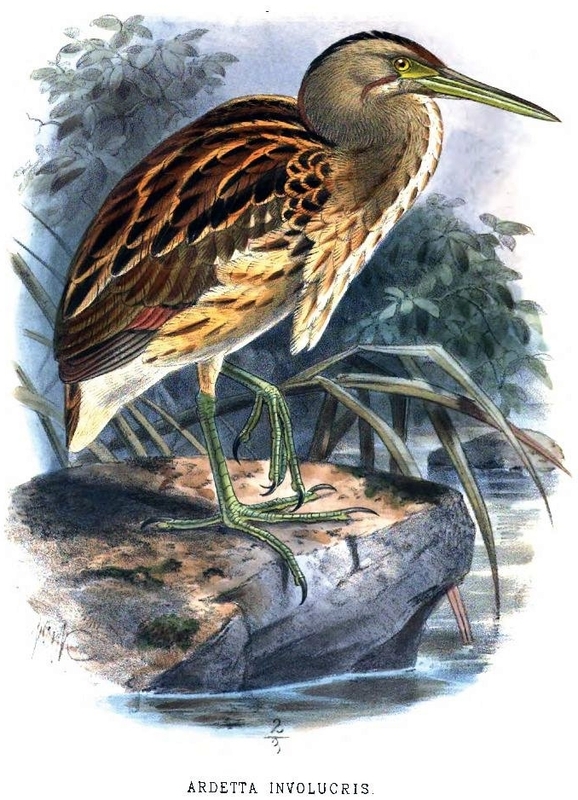 Posh people and the library had the Encyclopedia Britannica, which was enormous, was bought from a door-to-door salesman, cost almost as much as a three bedroomed semi-detached house and took more than 10 years to buy on a bespoke form of HP. 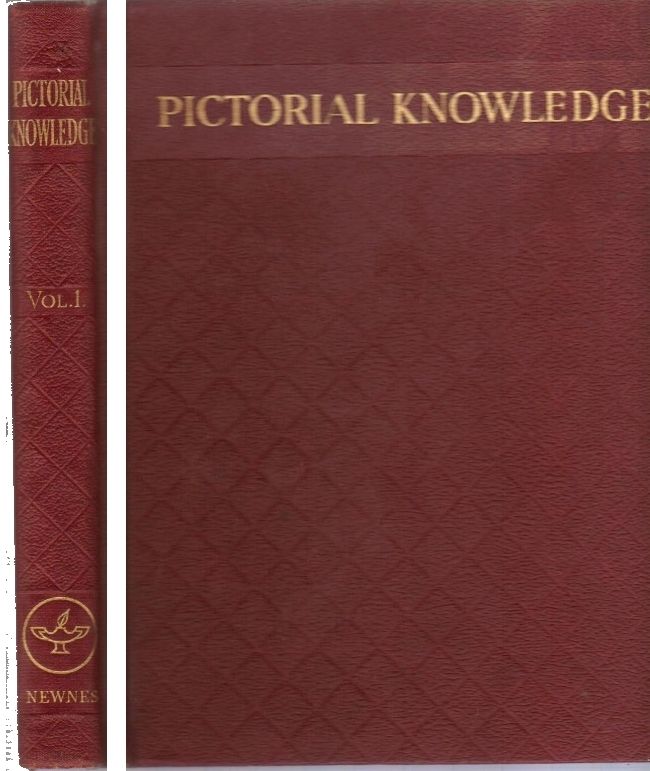 We were the proud owners of a battered set of Newnes Pictorial Knowledge. The edition we had was complete and was from the late 1950's or early 1960's - the covers were a quilted effect maroon. 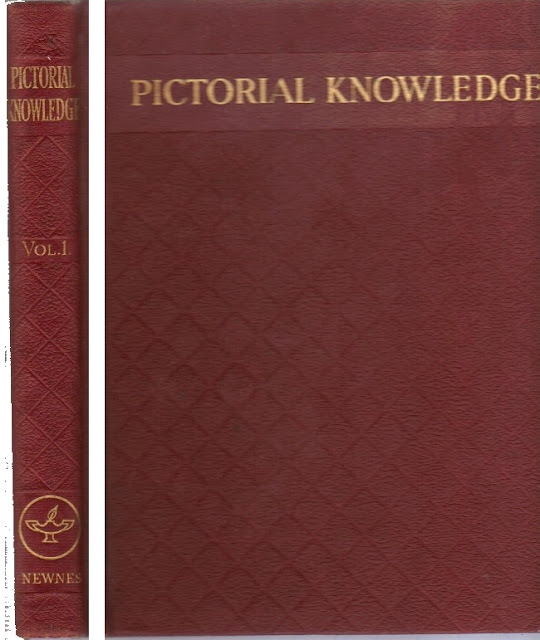 I was a strange child and would spend hours flicking through this set of Pictorial Knowledge volumes at random to learn about how a cricket ball was made. Or look at a colour cut away of an early passenger aircraft. Or the latest in mechanical looms. On the basis of this form of self-education I can remember even to this day how to use a straw filled pit to slow cook a meal, the deep sea explorations of the Bathyscaphe Trieste and how pioneering engineers had laid telegraph cables on the ocean floor. But the stuff in Pictorial Knowledge that I can remember the clearest were the photos and text that described the Bell X1 experimental plane that was flown by Chuck Yeager. This plane looked like a slightly modified rocket and it was dropped from the bomb bay of a modified B29 bomber. In this modified rocket Yeager reached Mach 1.06 (361 m/s, 1,299 km/h, 807.2 mph) on October 14th 1947. 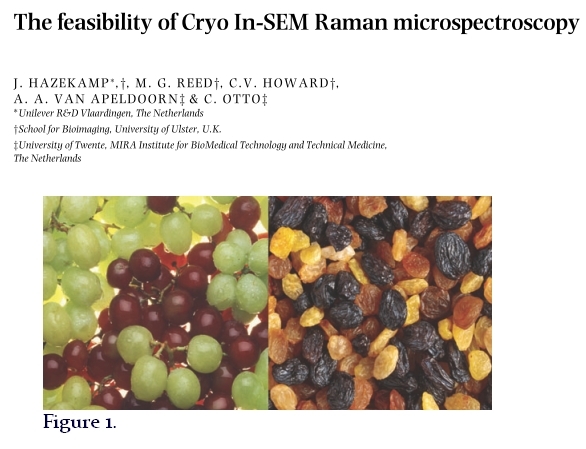 The following paper includes a Figure (shown below) that is used to highlight what happens to a biological sample when it is prepared for electron microscopy. The processes involved in classic preparation steps for electron microscopy involve chemical cross linking, dehydration, extraction and relocation of both microstructure and chemical composition. These steps are comparable to the dramatic metamorphosis that grapes undergo while being dried into raisins. 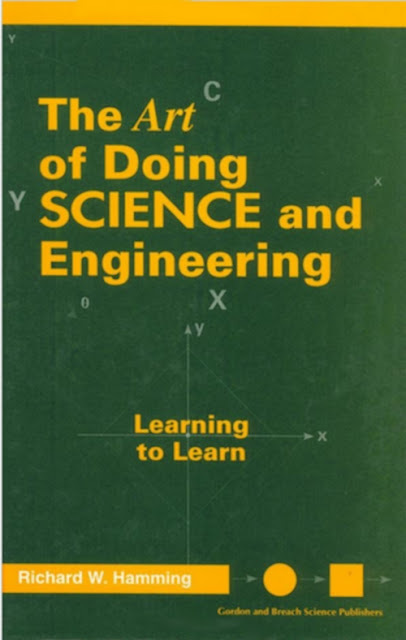 Richard Hamming: The Art of Doing Science and Engineering. 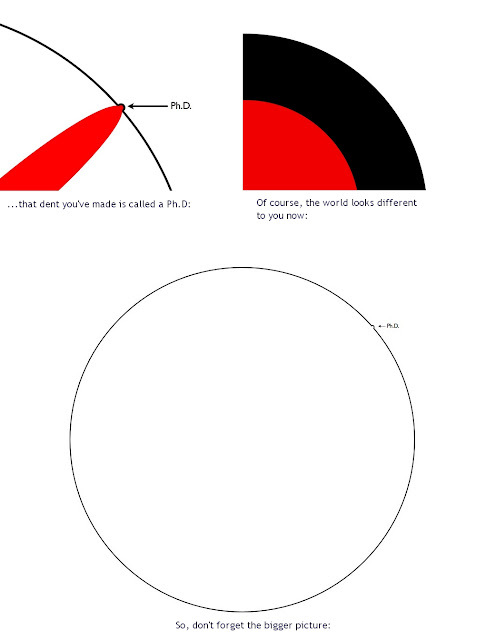 "In science, if you know what you are doing, you should not be doing it. In engineering, if you do not know what you are doing, you should not be doing it." Between March and November 1868, while Darwin was researching his book The Expression of the Emotions in Man and Animals, he showed a succession of visitors a set of photographs of human faces, some with the muscles artificially contracted by electric probes, and asked them what emotion they thought the photographs conveyed. Darwin’s research has striking parallels with contemporary facial recognition experiments. 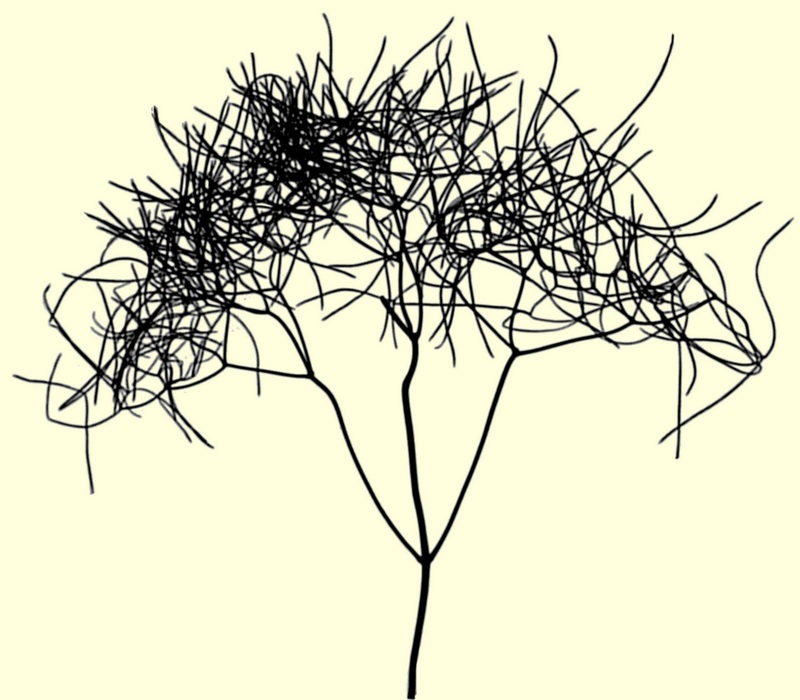 We have recreated Darwin’s expression experiment online, using 21st century techniques to study many of the same problems that Darwin was interested in, using the same photographs Darwin used more than 100 years ago. There are eleven photographs and the experiment can be completed in under one minute. We will collect the (completely anonymous) responses and report on the findings here in due course. 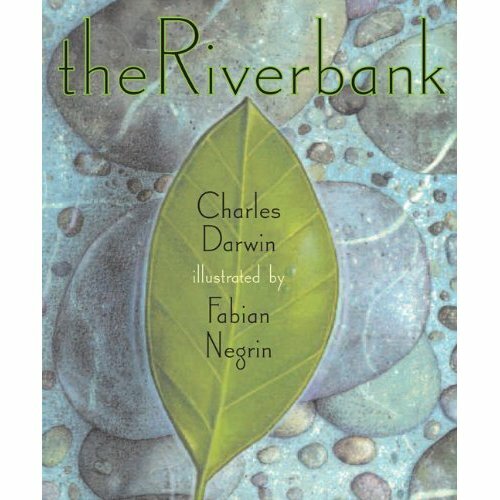 There is also a recently published book by Phillip Prodger on how Darwin came to write his book and its impact HERE. Some pictures of a big lump of driftwood from Red Rocks. Played with in PhotoFiltre. 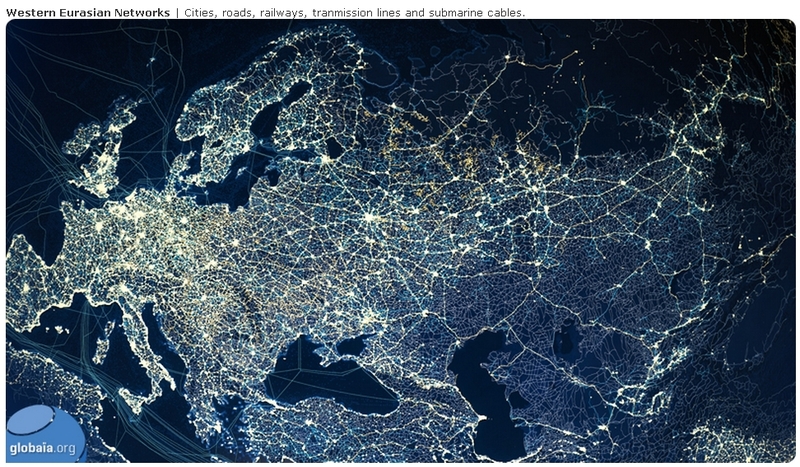 13pt are an outstanding design studio specialising in infographics, maps and other graphic material, often for the New York Times. For the article Finding Order in the Apparent Chaos of Currents. 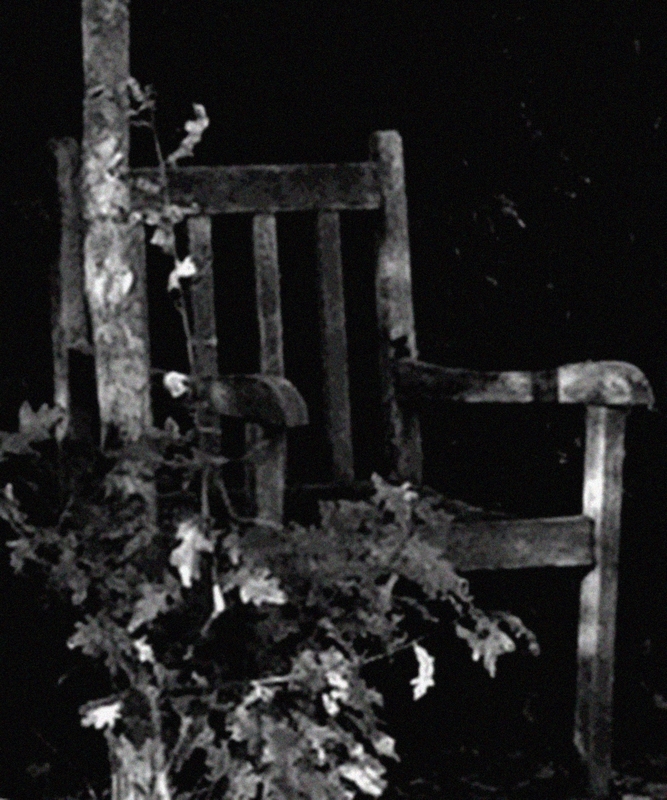 I have put an old wooden garden chair in a favourite spot at the bottom of the garden. It is as close as I will ever get to a throne. Here is a William Henry Fox Talbot Calotype rotated, cleaned up and re-coloured. 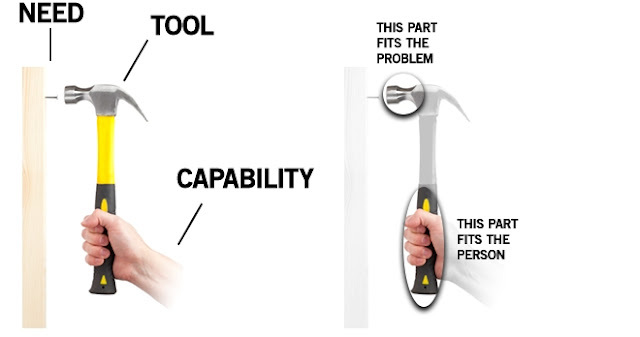 Here is a very good illustrated essay that purports to be a rant about interface design, but is actually a deep appreciation of the flexibility, subtlety and capability of the human hand. 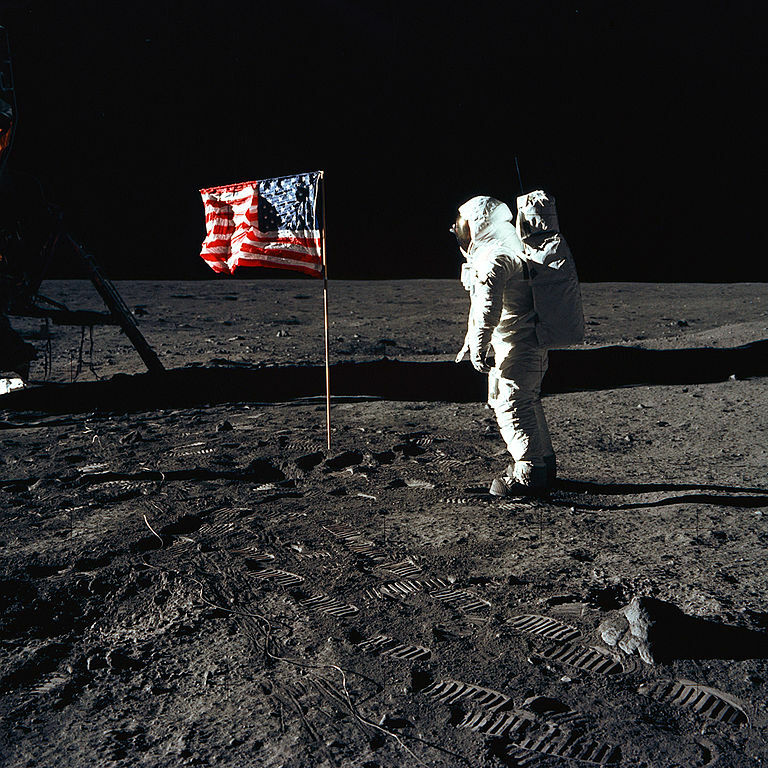 Is a book by Tom Wolfe about the early US astronauts and their experiences and the dangers and challenges of being part of a brand new and adventurous endeavour. This book grew out of some ordinary curiosity. What is it, I wondered, that makes a man willing to sit up on top of and enormous Roman candle, such as a Redstone, Atlas, Titan, or Saturn rocket, and wait for someone to light the fuse? I decided on the simplest approach possible. I would ask a few astronauts and find out. So I asked a few in December 1972 when they gathered at Cape Canaveral to watch the last mission to the moon, Apollo 17. I discovered quickly enough that none of them, no matter how talkative to otherwise, was about to answer the question or even linger for more than a few seconds on the subject at the heart of it, which is to say, courage. But I did sense that the answer was not to be found in any set of traits specific to the task of flying into space. The great majority of the astronauts who had flown the rockets had come from the ranks of test pilots. All but a few had been military test pilots, and even those few, such as Neil Armstrong, had been trained in the military. And it was this that led me to a rich and fabulous terrain that, in a literary sense, had remained as dark as the far side of the moon for more than a half a century: military flying and the modern American officer corps. Immediately following the First World War a certain fashion set in among writers in Europe and soon spread to their obedient colonial counterparts in the United States. War was looked upon as inherently monstrous, and those who waged it - namely, military officers - were looked upon as brutes and philistines. The tone was set by some brilliant novels; among them, All Quiet on the Western Front, The Journey on the End of the Night, and The Good Soldier Schweik. The only proper protagonist for a tale of war was an enlisted man, and he was to be presented not as a hero but as Everyman, as much as a victim of war as any civilian. Any officer above the rank of second lieutenant was to be presented as a martinet of a fool, if not an outright villain, no matter whom he fought for. The old-fashioned tale of prowess and heroism was relegated to second- and third-rate forms of literature, ghost-written autobiographies and stories in pulp magazines on the order of Argosy and Bluebook. Even as late as the 1930s the favorite war stories in the pulps concerned World War I pilots. One of the few scientific treatises ever written on the subject of bravery is The Anatomy of Courage by Charles Moran, who served as a doctor in the trenches for the British in World War I (and who was better known later as Lord Moran, personal physician to Winston Churchill). Writing in the 1920s, Moran predicted that in the wars of the future adventurous young men who sought glory in the war would tend to seek it as pilots. In the twentieth century, he said, they would regard the military pilot as the quintessence of manly daring that the cavalryman had been in the nineteenth. Serious treatment of the drama and psychology of this new pursuit, flying high-performance aircraft in battle, was left to the occasional pilot who could write, the most notable of them being Antoine de Saint-Exupéry. The literary world remained oblivious. Nevertheless, young men did what Moran predicted. They became military officers so that they could fly, and they flew against astonishingly deadly odds. As late a 1970, I was to discover in an article by a military doctor in a medical journal a career Navy pilot faced a 23 percent likelihood of dying in an accident. This did not even include deaths in combat, which at that time, with the war in Vietnam in progress, were catastrophically high for Navy pilots. 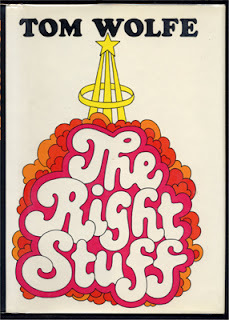 The Right Stuff became the the story of why men were willing - willing? - delighted! -to take such odds in this, and era literary people had long since characterized as the age of the anti-hero. Such was the psychological mystery that animated me in the writing of this book. 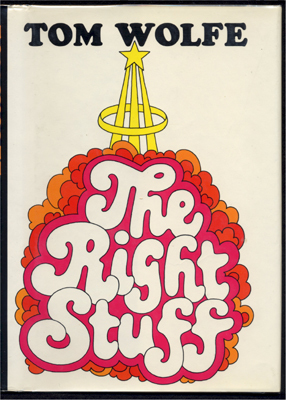 And if there were those readers who were not interested in the exploration of space per se but who were interested in The Right Stuff nonetheless, perhaps it might have been because the mystery caught their imagination as well as mine. Since this book was first published in 1979 I have enjoyed corresponding with many pilots and with many widows of pilots. Not all have written to pat me on the back, but almost all seemed grateful that someone had tried - and it had to be an outsider - to put into words certain matters that the very code of the pilot rules off-limits in conversation. These...matters...add up to one of the most extraordinary and most secret dramas of the twentieth century.